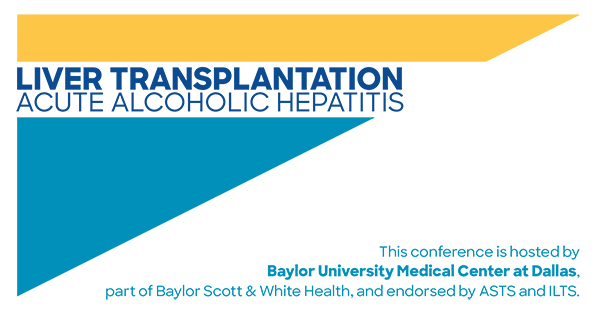 Liver Transplantation for Acute Alcoholic Hepatitis: A consensus conference that will be held at the Hilton Southlake Town Square in Dallas, Texas on April 5-6, 2019. 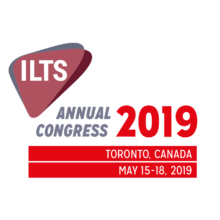 The conference will be hosted by Baylor University Medical Center at Dallas, part of Baylor Scott & White Health, and is endorsed by ASTS and ILTS. Liver transplantation for AAH is a contentious topic and there is wide interest in defining the indication for liver transplantation in this selected population. 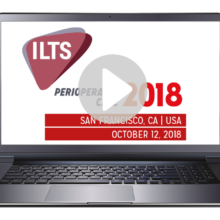 Over the two-day conference, various aspects of liver transplantation from selection, contraindications, listing criteria, ethical considerations and follow up after liver transplantation will be discussed. 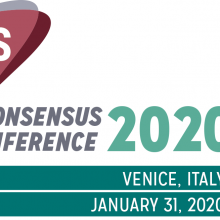 At the end of the meeting, a white paper will be produced and submitted for publication and endorsement by the major transplantation societies. View the full program and register online at www.BSWH.md/AlcLiverConference.